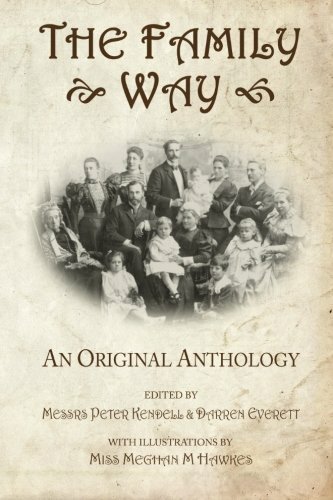 However, more importantly, I’m pleased to reveal that The Family Way, a new anthology featuring my first published short story, Elizabeth, was published today, and is available for purchase on Amazon.co.uk and .Com, or on CreateSpace if you’d rather not buy from Amazon. Needless to say, I am very excited about this. “Happy families are all alike; Every unhappy family is unhappy in its own way.” Everybody has, or once had, a family, but families vary. Some are traditional – Mum, Dad, 2.4 children – some have only one parent, some two, some many. You may have a dozen brothers and sisters, or you may have none. THE FAMILY WAY is a bravura collection of original fiction about families old and new, small and large, happy and unhappy, normal and strange, human and otherwise from the publishers of THE LAST POST. This special edition of THE FAMILY WAY features seventeen striking illustrations by Meghan Hawkes. It feels a little cheeky to count this as one of my 100 books, bearing in mind it’s a short story and only just over 5000 words. However, I’m going to count it, because I enjoyed it so much. The actual story itself is fairly conventional, the protagonist is an ageing shaman, ostracised by his Christian tribe members, who is called on to first save the life of a relative, and then the souls and future of his entire community, with a bit of help from the old gods. 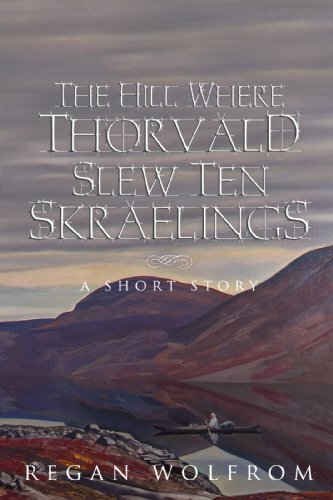 However, I will admit, the fact that it’s setting is a Norse community in Greenland, in the aftermath of conversion from the Old Ways to Christianity is one of the main reasons I liked the story; these are all settings and tropes I’m fond of, and in part are why I chose to read it in the first place. Not only is the setting appealing however, but the atmosphere created by the prose was such that I was able became lost in what I was reading, despite the fact I was sitting on a cramped and overheating bus. The story is, as far as I can tell, only available for the Kindle and related Apps, but at less than a pound, I’d definitely say it’s worth picking up if you’re between books and wanting something worthwhile to read.